It never fails, every year around March, the phone rings, and there is a desperate mother (who we will call Panicking Patty) on the other end. Our conversation normally goes like this. Cheerleading has come a long way on defining just what a team has to do in order to maximize a score sheet by creating rubrics. Because these rubrics have placed a high point value on tumbling difficulty and execution, school coaches are now looking for the best of the best to fill their 16 team roster. Cheerleading rubrics clearly define the skills necessary to maximize the scores to the trained eye, but it does not help the Panicking Pattys of the world who just want to help their child reach his/her goal of one day being a cheerleader. Parents and cheerleaders often know what skills are required to make the team, but fail to understand the proper progression and time it requires to learn the skill properly and safely. If I have heard it once, I have heard it a thousand times; “she tumbles like a cheerleader or she tumbles like a gymnast.” Ask a cheerleader who tumbles better between a gymnast or a cheerleader and 99% of them would say a gymnast. A proper and safe back handspring should look the same regardless of you being a gymnast or a cheerleader. The key to a proper back handspring is learning 3 very important progressions. The back bend kick over is the first step in learning a proper back handspring. It is this skill that helps to develop the confidence an athlete needs to start going backwards onto his/her hands. The back bend kick over also teaches the athlete how to use their shoulders to go back instead of their head. By keeping your head in a neutral position, you can alleviate wrist injuries that cheerleaders tend to complain about. The 2nd step in learning a proper back handspring is the back walkover. The back walkover is very similar to the back bend kick over, but it teaches the athlete how to connect the skill going from their feet to their hands to their feet without stopping. The 3rd step and most important progression to the back handspring is the back limber. It is the back limber that helps to teach athletes how to open their shoulders, push through their chest to create a strong snap down, and build the strength and power to become a powerful tumbler. This is the one skill that most cheerleaders never take the time to master, and why most gymnasts do in fact tumble better. In my 23+ years of owning MGA Cheer Extreme, the one major difference in those athletes who make their school teams, and go on to become powerful tumblers that colleges recruit is Proper Progressions! It takes time, preparation, and dedication to go through each phase of tumbling in order to master the back handspring. At MGA Cheer Extreme we offer FREE SKILL EVALUATIONS to help educate parents and cheerleaders on the proper way to learn a back handspring. If you would like to set up your FREE SKILL EVALUATION, then don’t wait until March–call today. 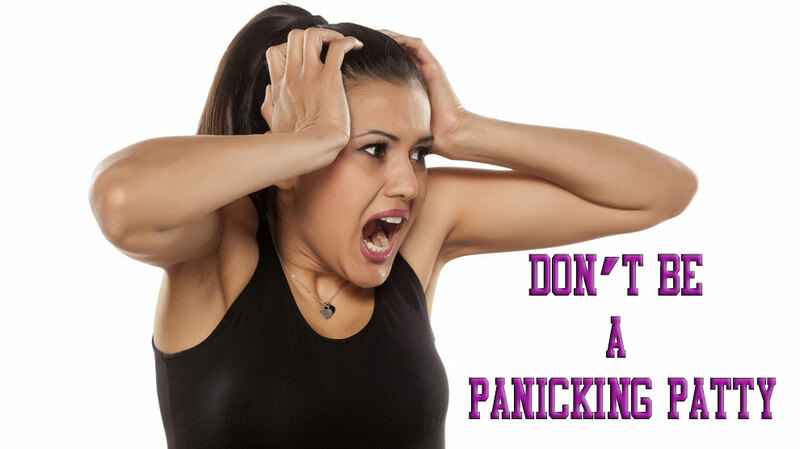 You don’t have to be a Panicking Patty!